DF/M (30): Combination divot fixer and ball marker with cigar holder top. Ball marker with full color logo. Made of durable metal for years of use. USA! CLICK BELOW FOR PRICING. 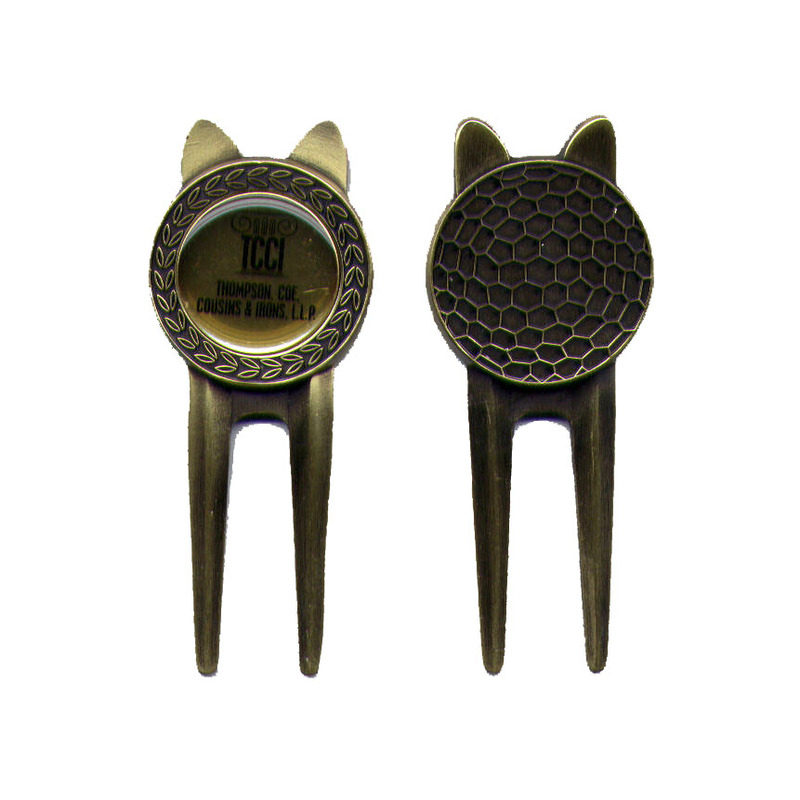 Item #: DF/M (30): Divot fixer with ball marker. Size: Ball marker- 7/8" ; Tool- 3 inch x 1 inch.